I haven't slept too well this week. A combination of builder-induced house carnage, stuffy weather and a poorly Mrs Gizmo has meant that I'm not exactly on top form right now. 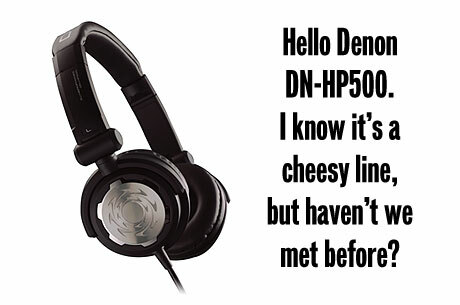 So you can imagine how many times I had to rub my eyes upon reading "CDJ-850 review" in my inbox. Surely some mistake right? But no - it seems that Andrew Unsworth's proximity to Pioneer UK's HQ has paid dividends big time. 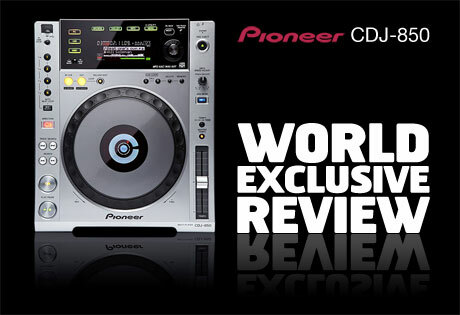 Announced just a few weeks ago and not yet available in any shops, we have the world's first review of the new Pioneer CDJ-850. Ninja Tune is 20 - win and take the stage! Ninja Tune is 20, and to celebrate they've hooked up with a number of companies to help you win an ultra special prize as part of their anniversary tour. 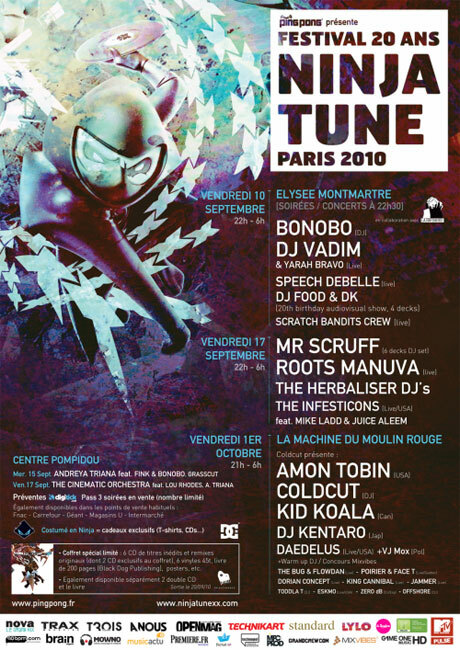 And when I say part, I mean get up on stage in Paris alongside the likes of Amon Tobin, Coldcut and Kid Koala. Gulp. So to facilitate this, MixVibes want you to make a mix - using Cross - good enough to get you on such an esteemed stage. Livid make cool stuff. For them, it's not about spewing out plastic controllers to the mass market, but very much about crafting wood and metal into objects of beauty and functionality. While they haven't quite got the Apple resources to go unibody, they have taken their existing Block and streamlined its quirky screwiness - i.e. they de-screwed it. It's really nice that I'm able to talk new technology, but this time it applies to one of the oldest DJ technologies in the book. While we're often bedazzled by much flashing light new shiny stuff, there's still a need for the traditional stuff to take the spotlight. 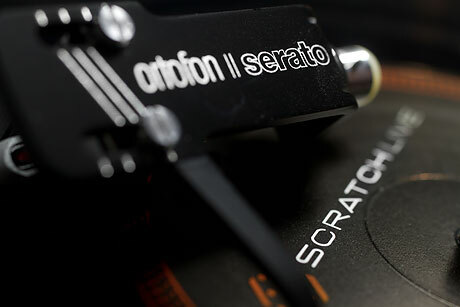 And while Ortofon's range has largely been new paint jobs with slightly tweaked specs, the new Ortofon Serato S-120 range does have a new technology to push forth - asymmetric suspension. And you'll be pleased to know that I got excessively nerdy with these new carts and can hopefully shed light on what they're all about. Hmmm� that's better. Having sated my hunger with the finest bacon butties, let's all pull up a chair and pour over this NI teaser video frame by frame and see what we can deduce in a Sherlock Holmes stylee. 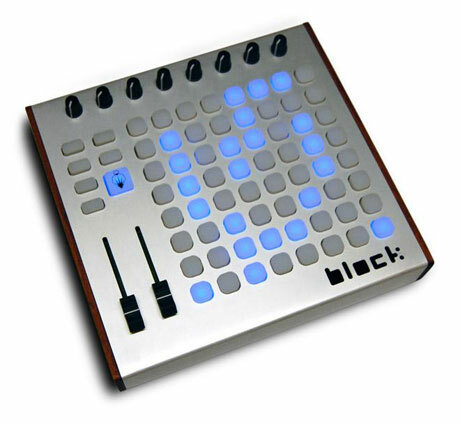 A very long running willtheywontthey saga in the DJ scene has been the possibility of a full sized Native Instruments branded Traktor controller. Tongues have been very firmly jammed into cheeks when quizzed about such things, leaving a trail of vague hints at the tentative possibility that such a thing may or may not appear from them perhaps at some point in the next 10 years. Maybe. Or maybe not. 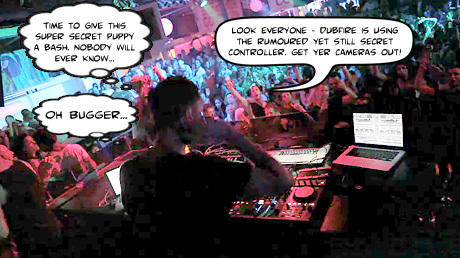 Well it seems that the shapeless rumours now have form, and DJ VIP Dubfire has been quite conspicuously playing out with it recently. Thankfully NI decided that it's time to tease us a little with a blurrycam video. In these day of mass produced plastic controllers, it's nice to see that at least one manufacturer remembers the good old days when DJ gear actually had wood on it (and real meters too). But enough showing my age - Livid is a company hand crafting beautiful controllers in the good ole US of A. No plastic boxes here - all machined from a variety of materials, and assembled with love. 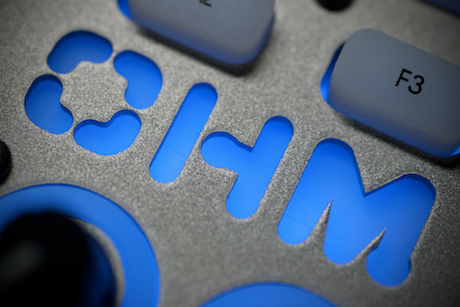 The Ohm64 is one such stunning controller, and resident button basher Chris Cartledge cast his experienced eye over this object d'art. Pioneer's new species continue to evolve from the DJ gene pool at an alarming rate. While we've seen the CDJ-2000, 900 and 350 drag themselves from the primordial Pioneer ooze, there was a gap - the missing link if you like. 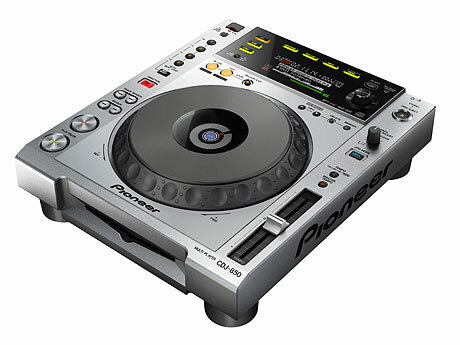 The CDJ-850 sits neatly in the gap between the bedroom DJ 350 and all purpose DJ 900, and simply updates the 800 to sit in the rekordbox workflow. Or does it? The purpose of decksavers has been plain and simple - to keep the crap that your life generates away from your expensive shiny gear. Keeping up with trends, Decksavers have tended to cater for the latest gear, but now the ultimate decksaver is here. At last the oldest lump of DJ gear gets some plastic love - behold the Technics decksaver, as well as a few others of note. And I've got some to give away too! 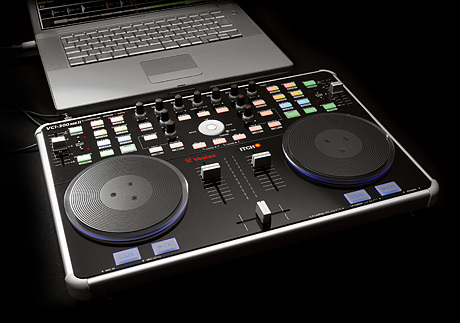 A few weeks back, the question of the briefly seen Vestax VCI-300 MKII's availability came up on the Serato forum. Using my sage knowledge and experience of Vestax's somewhat flexible approach to timescales, I proffered what I thought to be sound advice along the lines of "I wouldn't wait - it's a minor upgrade and won't be out for eons". Oh dear. Looky what just popped into my inbox. 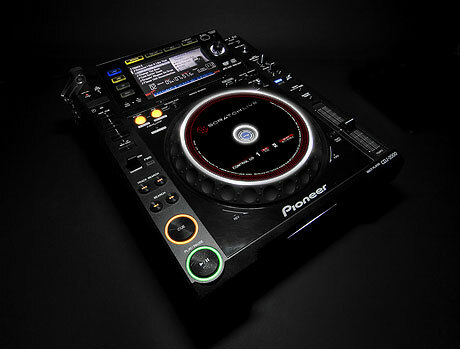 When Pioneer teased and then finally released the new species of CDJ, the overwhelming feeling was one of sticking a middle finger up at pretenders to the Pioneer club throne i.e. 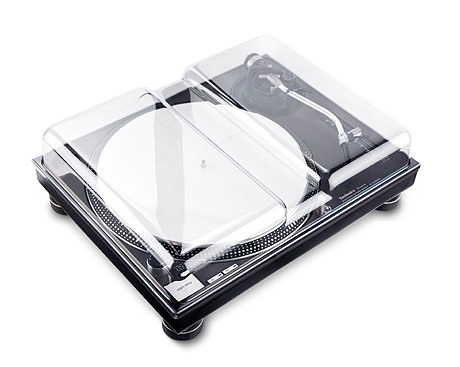 vinyl wielding DVS systems. But times have very rapidly changed, and rather than alienate a massive and growing market sector, Pioneer have gone to great lengths to ensure that their CDJs snuggle up very happily with the market leaders via the medium of HID. Traktor did properly in v1.2.6, and now the yet to be released for a while v2.1 of Scratch Live. UPDATE: And there's now a movie too.